Click here to be added to waiting list! 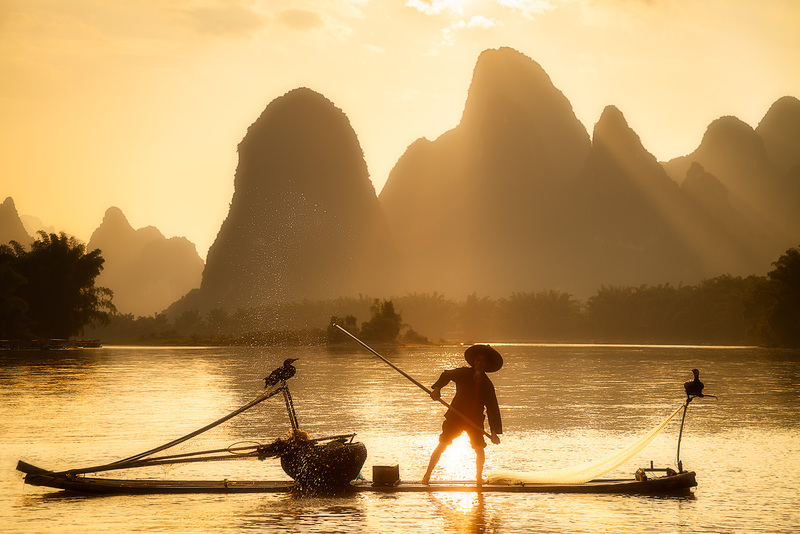 Guilin, China is a photographer’s paradise. 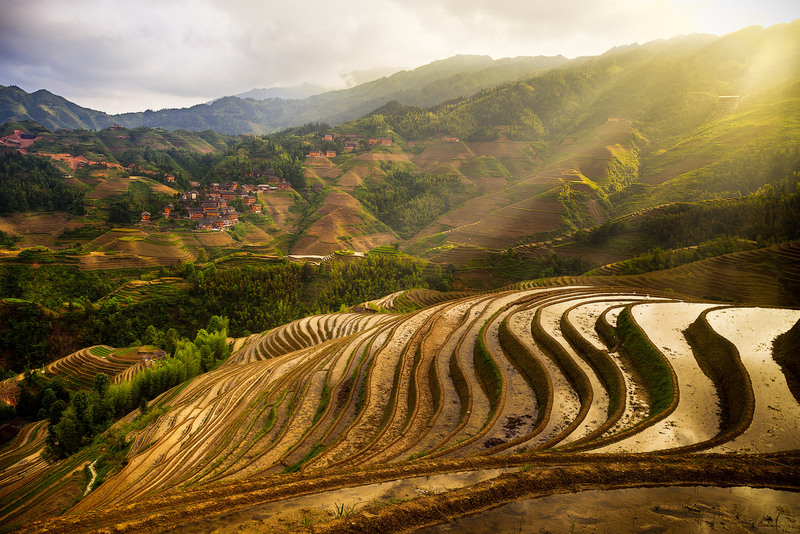 During this photo tour, we will photograph the beautiful and unique karst mountains, the winding Li River, cormorant fisherman at sunrise and sunset, the incredible Longji rice terraces, the XiangGongShan overlook, Cuipinghsan Hill, and many other locations. 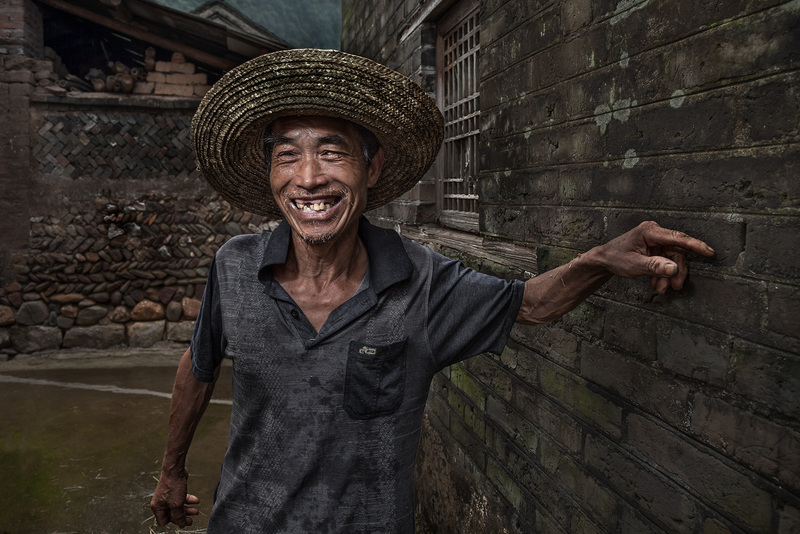 We will also drop into several rural villages in search of portrait opportunities. We will be visiting some of the same villages where I have gotten several of my best portraits. Note: In order to get the best photographs, we may modify this itinerary based on conditions, such as inclement weather and river levels. Day 1 (May 17, 2017) - We will meet in the hotel lobby at Yangshuo Mountain Retreat at 6:00 pm. We will then head to a nearby location for a welcome dinner and to talk about the upcoming tour. Then, we head back to the hotel to get rested up for the early morning shoot and a busy week! Day 2 (May 18, 2017) - Get up early and walk 30 minutes up a stone path to perhaps the most beautiful and dramatic section of the Li River and karst mountain scenery. Depending on the weather, possibly stay around for a short while after sunset in hopes of light rays coming down through the clouds. After returning to the hotel for breakfast, we head off to explore and photograph the lively city of Xingping, stopping at an old village on market day along the way. Take a short rest in the afternoon or potentially have a presentation on processing portraits. In the afternoon, hike about 30-40 minutes up a mountainside path, followed by a short scramble up a slope, for a sunset shot looking out over a beautiful bend in the Li River. 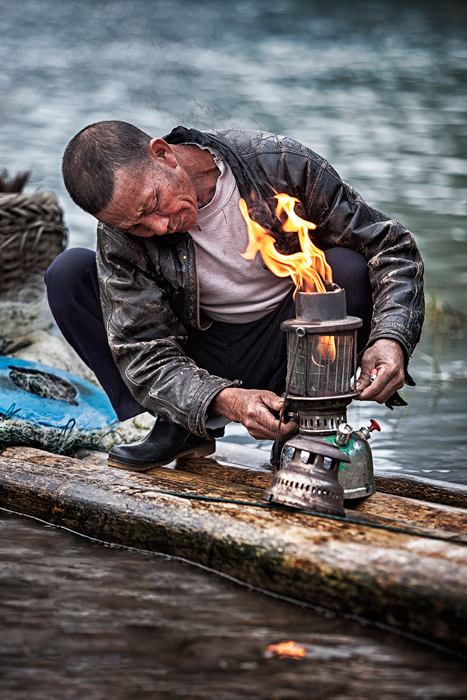 We then head back down the mountain for a cormorant fisherman shoot until dusk when the fisherman lights his oil lamps. Based on availability, we will try to arrange a private shoot with a fisherman. 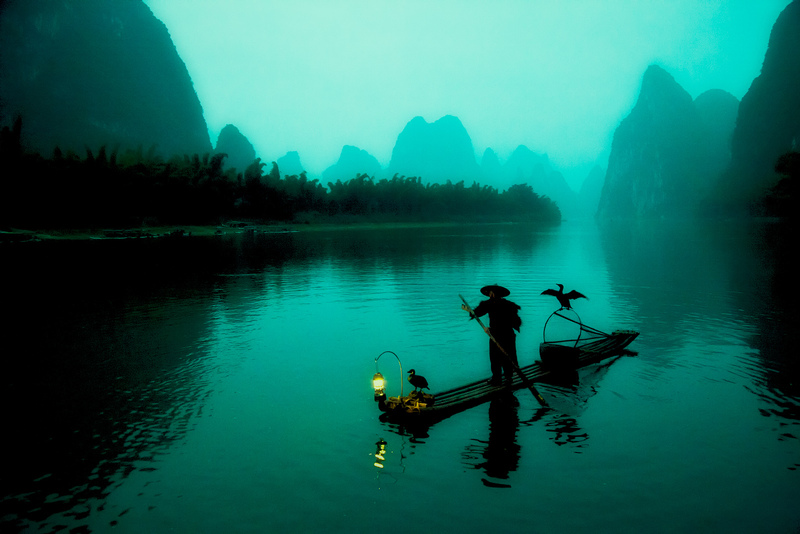 Day 3 (May 19, 2017) - Head out very early and take a motor raft up the Li River in the black of night to arrive at an epic location for a sunrise shot with a cormorant fisherman. Pending availability, we will try to combine this with a 2nd shot of a fisherman back up the river. Depending on weather and time, we may do a short raft trip up the Li prior to lunch, before bigger boats get on the river. After lunch, we will meet some fishermen in their home town (and even in their homes), which will be an opportunity to shoot portraits. We will visit an additional rural village or two for more portrait opportunities and end the day with a sunset shot by the Li. Day 4 (May 20, 2017) - Leave the hotel very early and head down the Li River by raft in darkness. You will see the shadows of the karst mountains on the trip, which is a surreal experience. 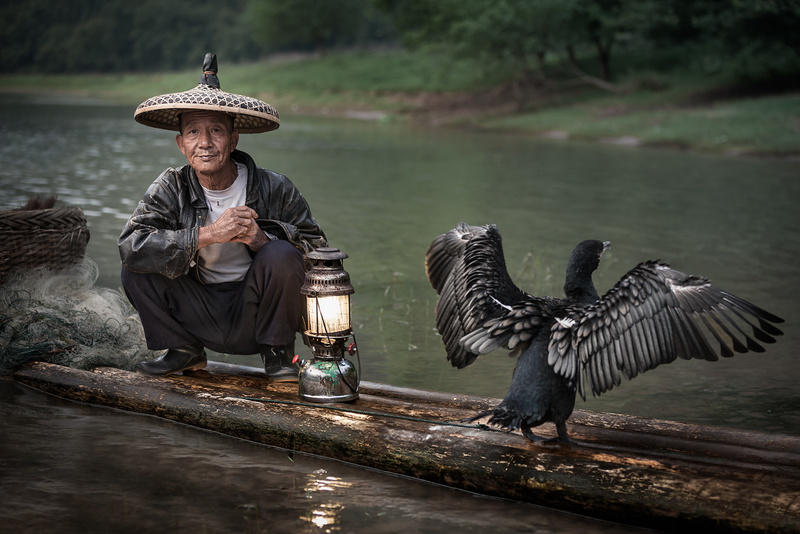 We arrive at an iconic sunrise location, along with a cormorant fisherman. After breakfast, we will use a local raftsman with his bamboo raft to photograph on the Yulong River, as no motors are allowed. We will then visit an ancient village in the morning before tourists arrive, getting a chance to observe and photograph beautifully carved ancient doors and houses where the 23rd generation of the same family still live. Surrounding fields also have local farmers planting, presenting great opportunities for photos. After lunch we stop at a location where locals take their water buffaloes across a low dam each day. We have some post-processing sessions in the afternoon and end the day with a river sunset shot. Day 5 (May 21, 2017) - We drive to a riverside location and shoot from a bridge where a distinctive cone-shaped mountain reflects on the smooth surface of the Li River. 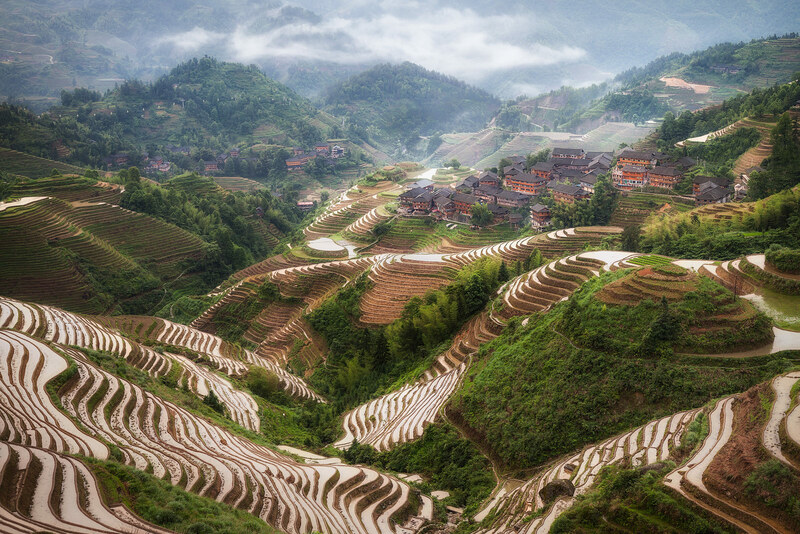 After breakfast, we drive to the incredible Longji Rice Terraces, about 4-5 hours away. We take a transfer bus. We meet a local family in their home and then hike up about 90 minutes (we can arrange for porters to help with your luggage), stopping to photograph workers in the fields. Arrive at the hotel and enjoy the views. Day 6 (May 22, 2017) - This morning it is a 10-minute walk to our beautiful sunrise location, shooting down over the terraces. After breakfast, we will descend further down the terraces to another viewpoint, finding opportunities to photograph workers along the way. After lunch in the villages, head to PingAn and check into our hotel. 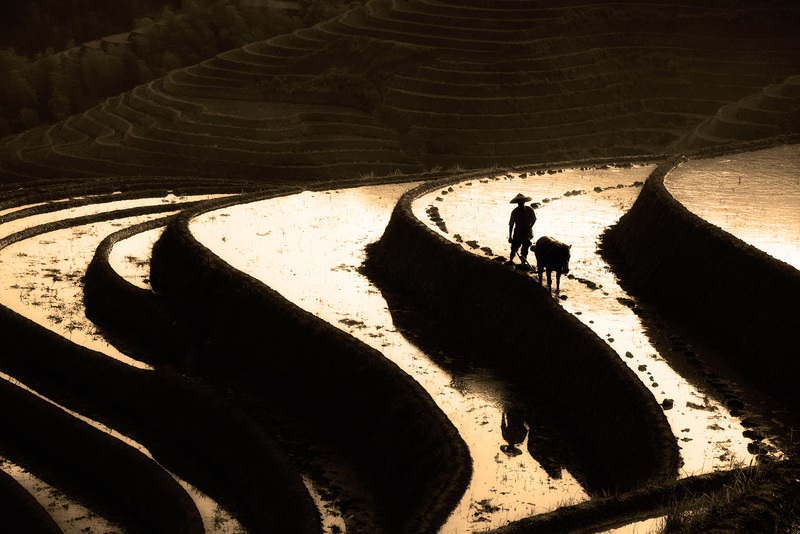 We look for more opportunities to photograph workers in the fields and local villagers, followed by a 45-minute walk up to a dramatic sunset location. Day 7 (May 23, 2017) - Climb about 10 minutes for our sunrise location, returning to the hotel for breakfast. Check out before heading to a section of the fields which gets beautiful sunlight in mid-morning. 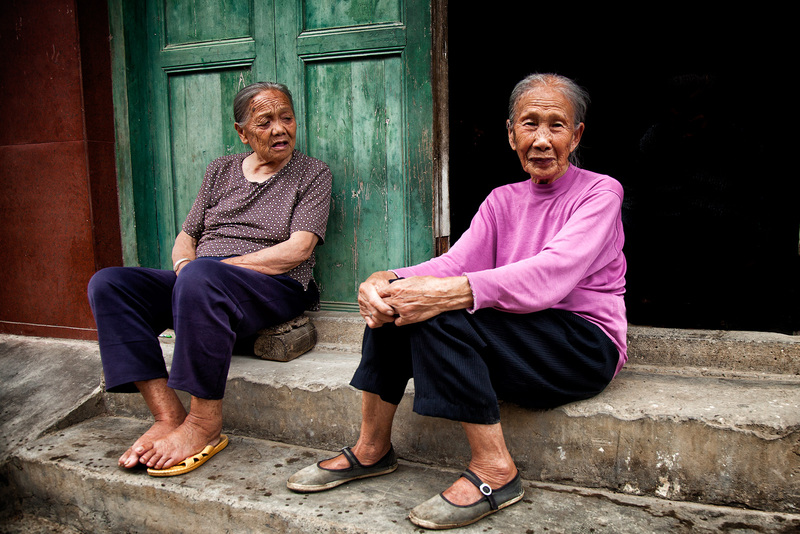 When the light changes, we’ll go to see some older women in their traditional home for portrait shots. In the afternoon we descend down the mountain to the next village where Zhuang minority people live, even visiting people in their homes. Day 8 (May 24, 2017) - Still in the rice terraces, we hike to an ancient village for a last sunrise shot. After a basic breakfast, check out of the hotel, take the transfer bus and head to Guilin. 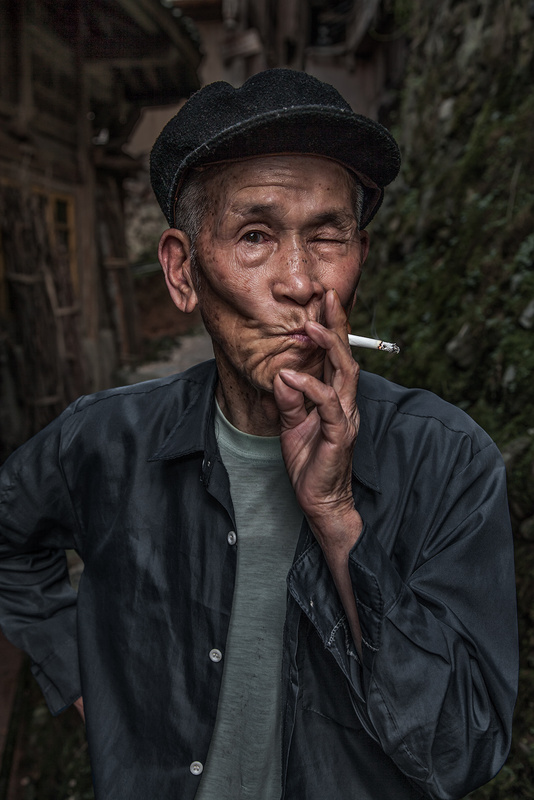 Then, it is on to an ancient town to meet and photograph families still living in their Ming and Qing dynasty traditional houses. For sunset, we head back up for a mountaintop view over the Li River. To top off a busy day, we photograph the Sun and Moon Pagodas in evening light. Day 9 (May 25, 2017) - Begin with a sunrise shoot from Yao mountain, followed by a quick breakfast. Then, head off to a beautifully lit limestone cave with incredible formations and reflective pools. Check out of the hotel and head to the airport for your connecting flights. Although experience is an obvious advantage, this workshop is open to photographers of all skill levels. At minimum, however, you will want to be familiar with your camera's controls and understand the basics of composition. For portraits, it will be helpful to have some knowledge of off-camera flash, although I will be teaching that on the trip. You will want lenses in the wide-angle through telephoto range. Additionally, equipment to trigger your flash off-camera is important for portrait shooting. If you don't own a flash and trigger, talk to me. I will be teaching post-processing on Photoshop and Lightroom, so bring your laptop. Bring enough memory cards... I suggest at least 100 gigs or more. Bring extra camera batteries and, as always, a tripod. Making your air arrangements - The group will meet for a welcome dinner at 6:00 PM at the lobby of Yangshuo Mountain Retreat on May 17th. 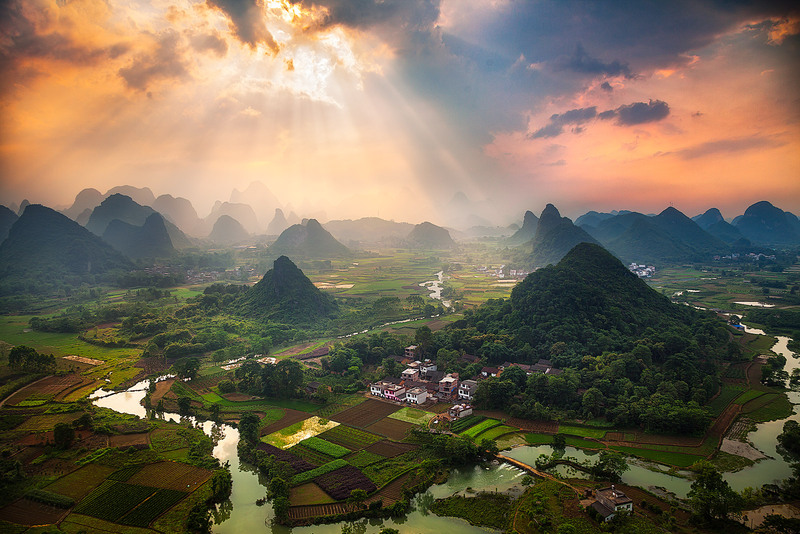 You fly into Guilin (airport code KWL), which is an easy 2 1/2 hour flight from either Beijing or Shanghai, or a 90-minute flight from Hong Kong. These are the usual connection cities for Guilin. If you are departing from North America, you will need to depart 2 days prior to the workshop starting date because of the time change. A driver will meet you at the Guilin airport (watch for a sign with your name on it when you exit through customs/immigration) and take you to the Yangshuo Mountain Retreat by car. If you will be arriving in Guilin a day early (on May 16th), we can help arrange an extra night's hotel, but it will be at your own expense. Starting on May 17th, your hotel is covered as part of the tour. The group gets back to Guilin airport by 2:30 pm on May 25th, so please book your return flights any time after 4:30 pm on May 25th. You might want to consider doing a few days on your own in Beijing, Shanghai or Hong Kong on the way there or back. All are great locations. Beijing has the Great Wall, Summer Palace and Forbidden City. However, If you do, you will have to make your own hotel and logistics arrangements, which will be at your own expense. For transportation during the tour, we will be getting to most places via a comfortable bus, but will need to transfer to some alternate forms of transportation to get to some of the areas we will be photographing. IMPORTANT – This tour requires more physical exertion than most of my tours. For example, this includes a 20-30 minute hike up a steep stone staircase (in the dark) and 90 minute hike through steep trails in the rice terraces. One of the vantage points will involve scrambling up a potentially muddy and definitely rocky trail. We will not be racing to these destinations, but I want to make sure it is clear that there is more physical exertion required for this tour due to the topography of the area. Also, this area of China can be rainy at this time of year. So, we might find ourselves doing some of these walks while it is raining in hopes of better weather when we arrive at our destination. If you have certain physical limitations that you feel might present challenges, then feel free to contact me to discuss. Emergency medical treatment and medical evacuation insurance is REQUIRED for this trip. Price Includes - Accommodations (sharing in double room unless single supplement paid), all meals including welcome dinner and farewell dinner, all local transportation including airport transfer, entrance fees and land usage costs, fees and tips for arranged shoots, photo instruction & critiques. Price Does Not Include - Everything not noted as included, such as airfare to and from Guilin, passport and visa costs, dinners other than welcome and farewell dinner, alcohol. Additional tips for locals are optional.